Coined in 1989, the word nutraceutical is a portmanteau of the words “nutrition” and “pharmaceutical.” Although nutraceuticals include products as diverse as vitamin supplements and organic cereals, their composition immediately presents challenges for developing nutraceutical labeling that conforms to existing regulations and, moreover, meets customer expectations. While there is no certain style of labeling that nutraceuticals must possess, there are certain types of information that should always be included on their labels, regardless of the product. In the U.S. market, if a nutraceutical product claims to remedy a health ailment, it should indicate that the FDA has not tested the veracity of the claim, if indeed this is the case. Users of nutraceuticals know that an FDA warning is often an empty requirement that has little to do with products to which it applies, but it is necessary to list the warning to inform consumers about their health and prevent sellers from legal fallout resulting from improper regulatory practice. Nutraceuticals are designed to be more medicinally efficacious than many products that are bought off the shelf at pharmacies and health food stores. In addition to possessing nutritional qualities, the products may possess medicinal value in the form of pharmaceutical formulation. Consequently, it is essential to label the products with dosage instructions to help prevent negative health outcomes that could result from taking too much or too little of the product. Nutraceutical labeling is also essential for describing the efficacy of the product. In some cases, the efficacy of a product is communicated through easy to view messages that “pop out” on the product label. However, because the product generally has a complex formulation, it’s often necessary to explain exactly what the product is efficacious for treating, and why. A paragraph that provides this information can be skillfully printed in a prominent position on the label. Both standard health supplements (e.g., herbal supplements) and nutraceutical supplements have the potential to interact with medications and health supplements that the customer already takes. Consequently, labeling for both types of products should contain as much detailed information as possible about interactions with prescriptions and nutrition products. In addition to helping protect the health of the customer, listing possible interactions helps protect the seller from injury suits and false advertising suits that call into question the appropriateness of label information. The seller should list an explanation of the benefits of a product, its intended use, and substance interaction warnings to legally protect itself against regulatory intervention that could temporarily halt the sale of the product until compliance is met. Some sellers of nutraceutical products take a lax approach to listing ingredients in the products. Part of the reason why is because the ingredients are generally not known to interact with medications or other supplements. However, this view doesn’t consider that some consumers are allergic to fillers in supplements and must avoid the fillers to maintain good health. This is why it’s essential to list all ingredients, even inactive ones that you think wouldn’t hurt a fly. 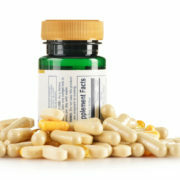 The effective marketing of nutraceuticals begins with creating the right labels for the products, particularly labels that list dosage instructions, describe the efficacy of the product, list any potential interactions with supplements and prescription medications, and list all active and inactive ingredients to help consumers determine whether a nutraceutical product is a good long-term or short-term option for remedying their particular type of health ailment. Don’t let ineffective labeling stand in the way of successfully bringing your nutraceutical products to market and enjoying steady sales, Contact Flexo-Graphics today at (262) 790-2740, or use the contact form on our website, to schedule a consultation. We’re here to provide you with the perfect nutraceutical labeling options, as well as options for any other products you may sell. What Makes Label Companies Special? There are hundreds of label companies throughout the U.S. that specialize in providing everything from pharmacy labels for prescription bottles to labels that are applied to food products in supermarkets to warning labels on an engine. In this entry, we focus on providers of product labels, which are labels that are affixed to products to help motivate customers to make a purchase. Like all types of businesses, not all label companies are the same. Some offer solutions that others don’t, but it’s the range of label options the companies offer that makes them “special”, as it were, to businesses that use the labels to sell goods and improve the bottom line. There are several things that could make a label company unique and highly valuable to its clients. Below are four crucial factors that can make a label company “special” compared to the competition. What’s the mission? Is the mission, “To be the most customer-focused label convertor by always providing on-time deliveries of top quality, cost effective products?” Is the mission of the business focused on you? The best label companies can provide labels through a variety of services and materials that are perfect for certain applications. 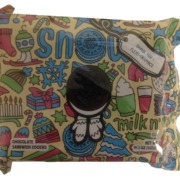 Can the label company provide by your primary labels and your thermal transfer carton labels? Doth they work with a variety of industry accepted material providers? Can they offer you digital and flexographic label print? Can they create a one stop shop for you? Does the label company offer you different buying options to fit your needs? Do they offer stocking programs, to warehouse your larger volume skus? Can you offer you print on demand for your smaller or short term skus? 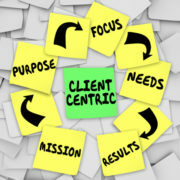 Are they creative in how you can benefit from both services? Looking for a Label Supplier? If so, Flexo-Graphics is your ideal destination. We offer a variety of label solution for different label applications, provide a great selection of product labels, supply diverse type of materials for creating labels, and offer the option of stock labels or custom labels, among other benefits. To learn how we can use our special expertise to create precisely the type of labels you need, please call us today at (262) 790-2740, or feel free to fill out our contact form. https://flexo-graphics.com/wp-content/uploads/customercenter.jpg 480 480 fgadmin /wp-content/uploads/flexologoOLG.jpeg fgadmin2016-03-01 11:48:402017-04-21 16:28:51What Makes Label Companies Special?